Thomas Schultz was educated as organic chemist at the ETH Zürich. After a PhD thesis on hydrocarbon radical spectroscopy in 1999, he moved to the National Research Council (NRC) of Canada. At the NRC and, after 2003 as research group leader at the Max Born Institute Berlin, Schultz investigated photochemical elementary reactions in isolated (bio-) molecular molecules, clusters, as well as solvated chromophores. In 2011, after several years of University teaching, he was named University lecturer ("Privatdozent") at the Free University Berlin. 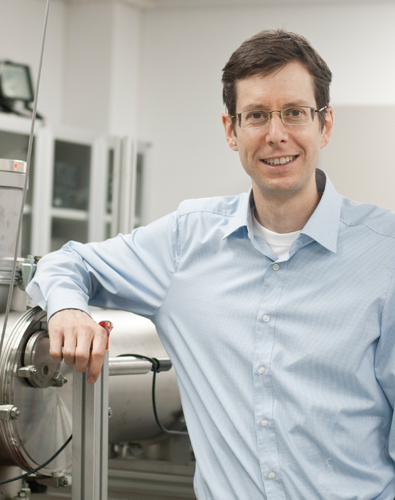 Since 2013, Schultz is Associate professor at the Ulsan National Institute of Science and Technology. Here he continues the development of a novel spectroscopic method for the correlated single-step analysis of molecular composition, nuclear structure, electronic structure, and photochemical dynamics. The Schultz group investigates the composition, structure, and reactions of molecules with short-pulse laser spectroscopy. Time-resolved experiments reveal the nuclear and electronic motions that we usually hide with the chemical reaction arrow in chemical equations. A novel multi-pulse experiment (Correlated Rotational Alignment Spectroscopy, CRASY) correlates photochemical and photophysical reactions with molecular structure. The combined information reveals how changes in chemical bonding and non-covalent interactions affect chemical reaction pathways. Biochemical systems are studies to identify how a local biological environment controls the outcome of biochemical reactions. The CRASY experiments offer a fundamentally new tool to investigate heterogeneous (impure) samples. This is exploited for the investigation of tautomeric samples, molecular isotopologues, and instable molecular matter. T. Schultz, E. Samoylova, W. Radloff, I.V. Hertel, A.L. Sobolewski, and W. Domcke, Science 306, 1765 (2004). K. Kosma, Christian Schröter, Elena Samoylova, I. V. Hertel, and T. Schultz, J. Am. Chem. Soc. 131, 16939 (2009). A. Lübcke, F. Buchner, N. Heine, I.V. Hertel, and T. Schultz, Phys. Chem. Chem. Phys. 12, 14629 (2010). C. Schröter, K. Kosma, T. Schultz, Science 333, 1011 (2011).